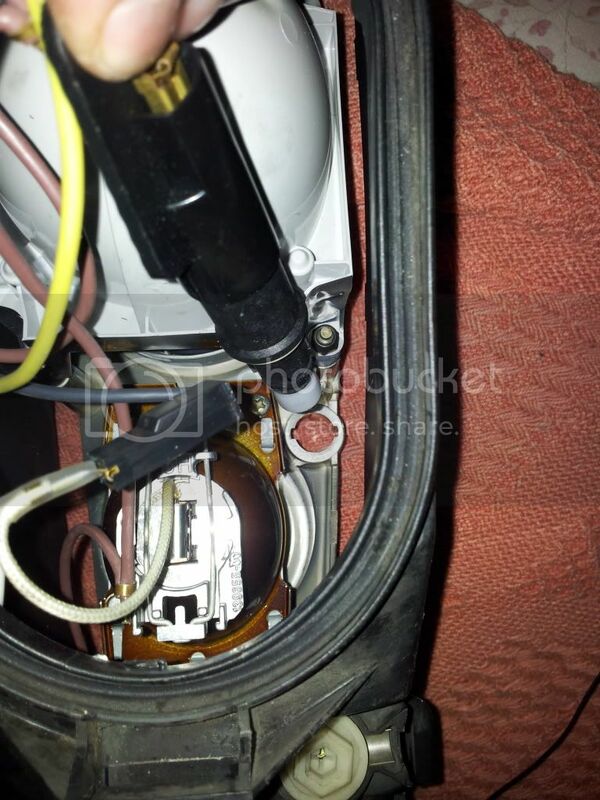 ClubCalibra | How do you get to the side light (parking light) bulbs? How do you get to the side light (parking light) bulbs? The Haynes manual suggests you push it in and a quarter turn anti clockwise, but mine feels and looks like it's got some sort of spring clip holding it in (like the main bulbs) ? 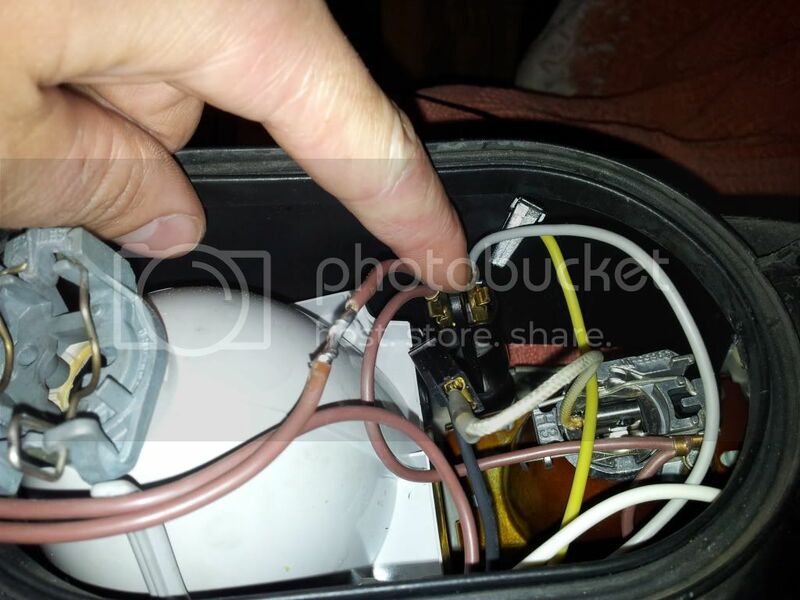 Re: How do you get to the side light (parking light) bulbs? 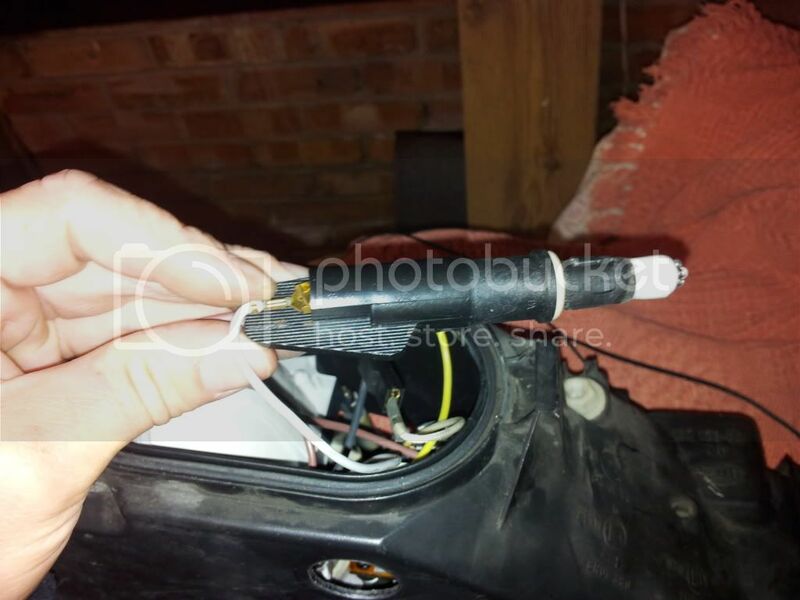 Shouldn't have, the whole bulb holder removes by giving it a quarter turn & pulling it out from the back of the headlamp unit. Only pic I can find of the rear of the lamp units is this one. No clips on these. No springs ...just twist and pull...tricky. Get rid of them and get some cfl angel eye rings. Location of the side light. It twists and comes out like this. Easy with the headlight out, nightmare with it in. I removed my battery and air box to get better access. I was thinking of the indicator bulbs. My bad, I'll go back to sleep! 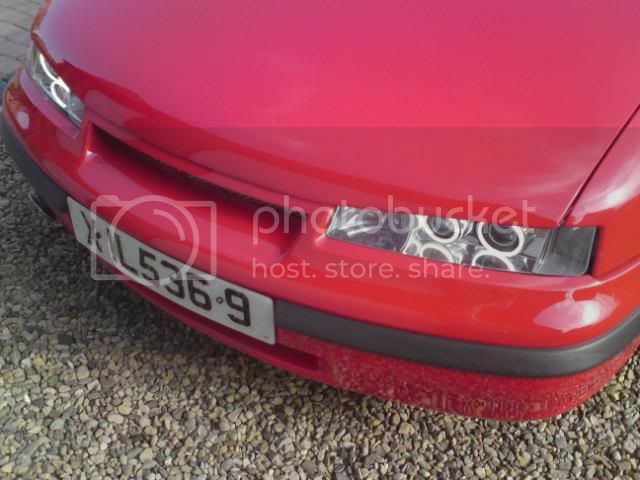 The calibra front bumper is the easiest bumper iv ever removed, can get mine off in a few minuets if i had the tools ready. Fitting angel rings wouldn't look as good with the standard glass lenses, the above picture has clear plastic lenses if you look, yours will be ribbed glass and will make the angel ring look odd. The clear lenses are hard to come by now, you can take them off a set of after market angel eye headlights and fit them to the standard headlights. I picked mine up on here but not seen any for a while. 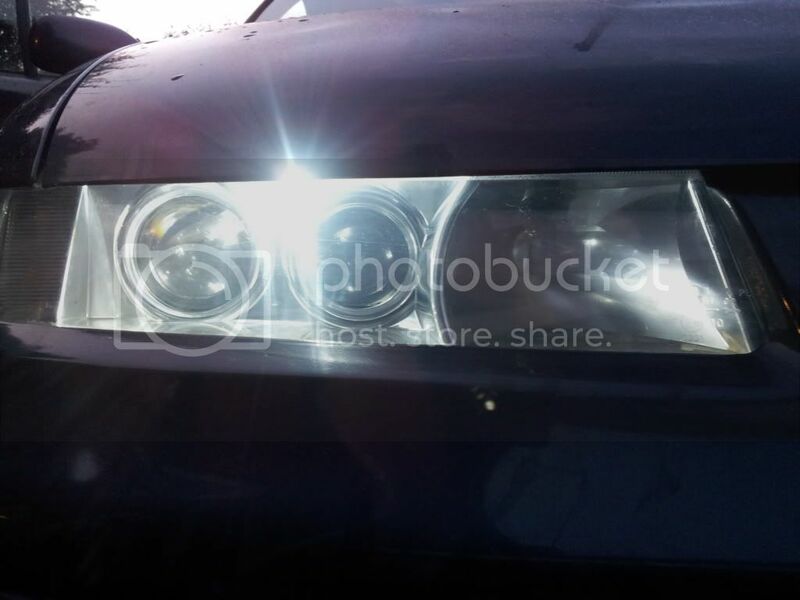 This is mine, with clear lenses and SMD sidelight. I don't use the original side lights...removed them and just use the rings.